Meet Olivia Kirkpatrick, an esteemed fashion photographer, counting New Zealand Prime Minister Jacinda Arden, designer Karen Walker and International songstress, Lorde, as clients. In fact, Olivia has shot a number of campaigns for ECOYA over the years! In 2017, Olivia launched BamBam Kids – contemporary, cool and individually styled portraits of children. Olivia welcomed us into her Auckland home that she shares with husband James and daughters Maggie and Florence. 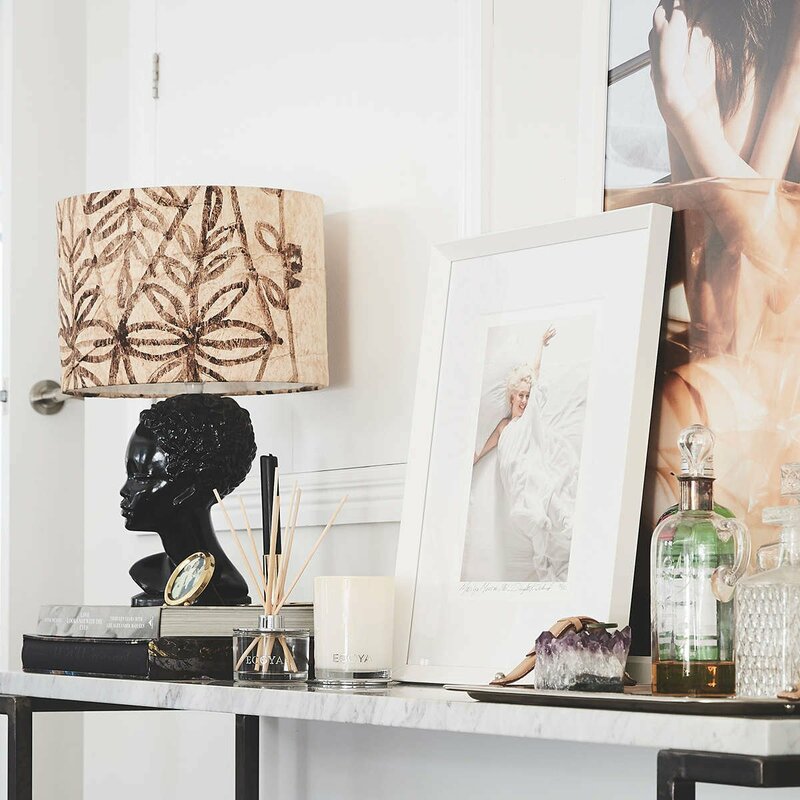 Her effortless style in interiors, fashion and beauty is evident throughout her home. I think my style is relaxed (I have two children, soon to be three so it has to be relaxed! ), comfortable, contemporary and quite neutral. I prefer whites and greys when it comes to furniture and to bring colour in through art. If you had one scent to fragrance your home with, what would it be? I love Coconut and Elderflower and currently have the diffuser in my living room. I do tend to burn or diffuse fresher fragrances. What's your go-to ECOYA fragrance? What are your go-to beauty staples? My beauty routine is quite low maintenance. I use a combination of Aspect and Bio Elements Vitamin A & C. I’m a big fan of serums as well and try to exfoliate once a week! What makes a great interior? Having a colour palette that’s easy on the eye, a combination of different fabrics within your furniture and lots of natural light. If the natural light is a problem, then ambient lighting. I’m all for a lamp. Ambience is key. What's your favourite room and why? Our bedroom is pretty relaxed, I just recovered our headboard in a velvet fabric and it has transformed the room. 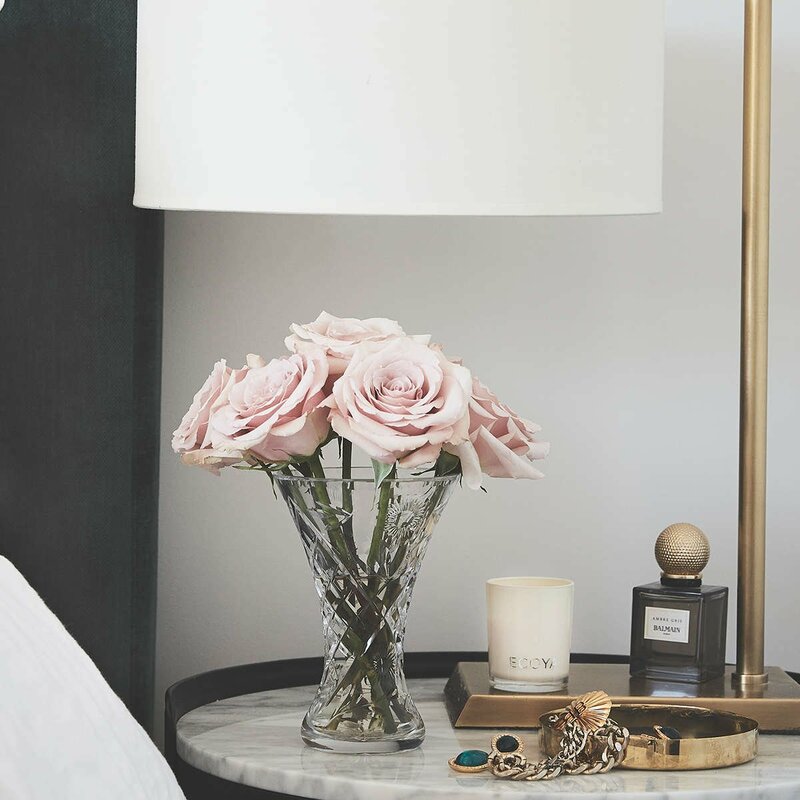 What’s always on your bedside? Hand Cream (the ECOYA Lotus Flower is my fave), Nod Sleep drops, Aspect Night Cream and the book I am currently reading.